This is a problem which men encounter on a daily basis. Relieving himself at a urinal may result in splash-back onto the floor, shoes or trousers. It has been a topic of much consideration from health as well as aesthetic perspectives. Four physicists at Brigham Young University (calling themselves "wizz-kids") studied the physics properties of urine splash-back by shooting colored water through nozzles. They found that "urine" follows what is known as the Plateau-Rayleigh instability in that a pee stream breaks up into drops before striking something else. The splash causes drops to reach as far as the sink in most home bathrooms from the "angle" stream of a standing position. The solution is simple. Men could just sit to pee and/or pee straight down - an easy solution - but somehow not a popular one. In a hi-tech version of the traditional Canadian "write your name in the snow" activity, simple video games have been developed where the urine stream is used to control a simple video game thus encouraging focusing the stream. The maker of the system, a UK technology and manufacturing company called Captive Media, says that outside the United States its system has already been installed in bars, hotels, airports. A variety of games are offered, all of which are controlled by the player’s aiming right or left. Hamburg's St. Pauli neighborhood is regularly victimized by late-night revelers looking to empty their bladders, thereby causing a bad odor and deterioration of the walls. To battle this problem, walls are being covered with a paint that splashes urine back onto perpetrators. This is an unusual use of the Ultra-Ever Dry super-hydrophobic, oleophobic nano-coating paint sold as a general liquid repentant paint for many uses. - 26.219 miles (42.195 kilometers) – with a finish time of roughly 11 years and two months. of another world," said John Callas at NASA's (JPL). "A first time happens only once." 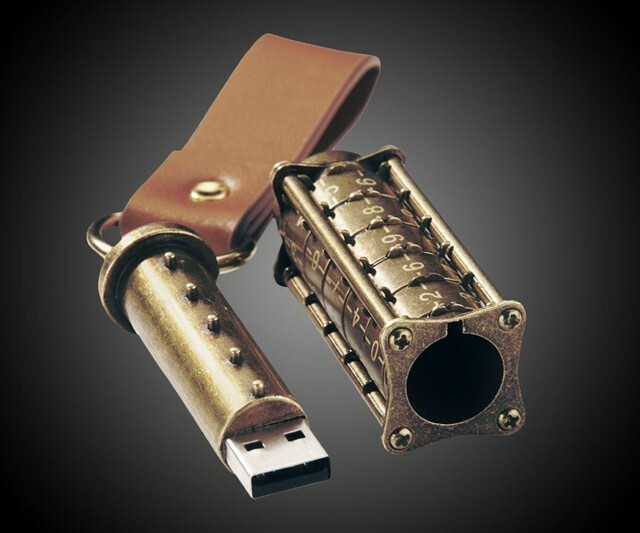 (a) The Cryptex Drive allows you to lock and secure the16gb USB drive inside. Simply match the pre-set 5 digit code and you’ll be able to remove the drive for use. This may not be the "safest" way to secure your data, but I think it would get the attention of your friends at a reasonable price. (b) The Apricorn Aegis USB Flash Drives come in 4GB, 8GB, 16GB and 32GB storage. The USB storage units are encrypted with 256-bit AES-CBC technology, FIPS Military Grade Hardware validated and work on PC, MAC and Linux.is available with 16GB, 32GB and 64GB of flash storage. (c) The SanDisk USB Flash Drive is available with 16GB, 32GB and 64GB of flash storage. The WiFi Connect offers wireless connectivity to other WiFi enabled gadgets and micro SD storage expansion and does not need an internet connection, cables or a router. Free iOs and Android apps allow efficient management of file transfers and connection, including password protection and 128-bit AES encryption.